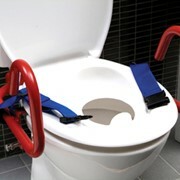 Comfortably provide extra safety and independence when using the toilet. 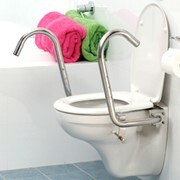 Can be mounted easily and quickly on the toilet. 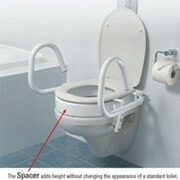 The folding arms give a good support and the moulded handles are comfortable for hands and arms. 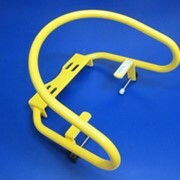 The support arms can be folded individually. 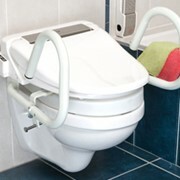 The Toilet Support system includes a white Dania toilet seat and the cobalt blue moulded handles. 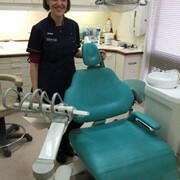 Caredesign is a part of Enware Australia Pty Limited. 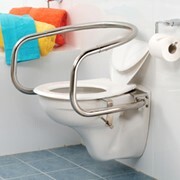 Created as a specialist division to offer a broad selection of bathroom and kitchen products for the elderly and people with a disability. With over two decades worth of experience in catering for a challenging customer base, we pride ourselves in being able to deliver the very best advice, coupled with some unique additional services such as CAD design, OT consultancy and installation. As much as we principally focus on the specification market via architects and developers, offering one on one advice to end users and their carers we are equally comfortable with. Our team are committed to helping you in attaining effective outcomes, sharing their expertise to ensure that practical solutions across a variety of budgetary requirements are always achieved. The diversity of our clientele means that we have an intimate understanding of the interior design requirements for dementia, visual impairment, muscular dystrophy, learning difficulties, mobility and accessibility. Combined with this, we possess a knowledge relating to current Australian Standards AS1428, aged care guidelines and relevant OH&S issues. 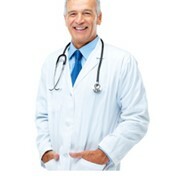 Mention MedicalSearch so Enware Australia can best assist you! 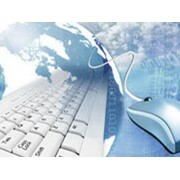 Get a callback from an expert at Enware Australia to help answer your questions.